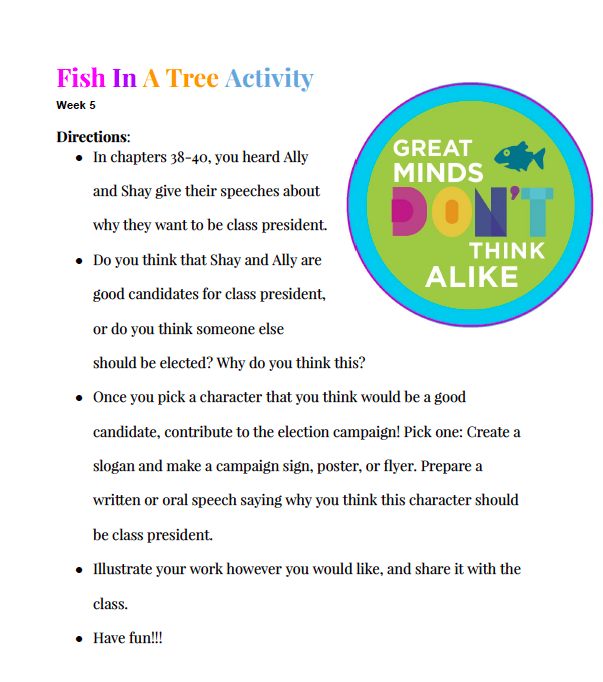 This is an activity that the SUNY Geneseo teacher candidates created for chapters 38-40 of Fish In A Tree. 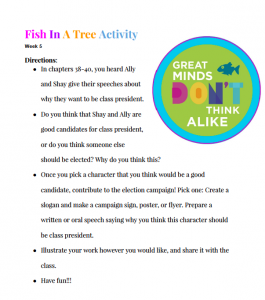 This activity would be appropriate for upper elementary students. The activity entails creating a campaign slogan, speech, or poster.